The last time I hosted a big Passover was in 2010 when we lived in Washington DC. Three years later, I’m in Durham, NC, with a new career, a new dog, and a new niece or nephew on the way! 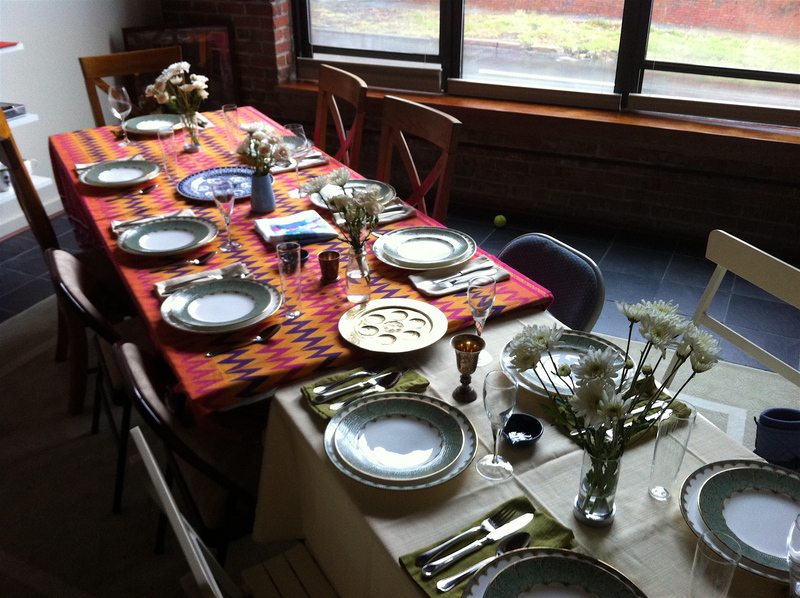 My whole family, plus James’ parents and grandparents are coming to our Seder. We will have a huge feast with the help of family who is helping to make roasted cauliflower, stuffed peppers, charosis, dessert and drinks. I’m making ‘Mama’s Made with Love’ brisket, matzo ball soup, vegetarian chopped “liver” and all the Seder plate flourishes. This year James’ grandparents are coming to their first Seder! I am very excited to share this holiday with them since it’s one of my favorites. His family is not Jewish and through our relationship we’ve exposed and included each other, and our families, in different traditions that we didn’t grow up with. We had a primarily Jewish wedding; I celebrate Christmas with his family; his family comes to my parents’ Hannukkah parties and now we’re celebrating Passover together! 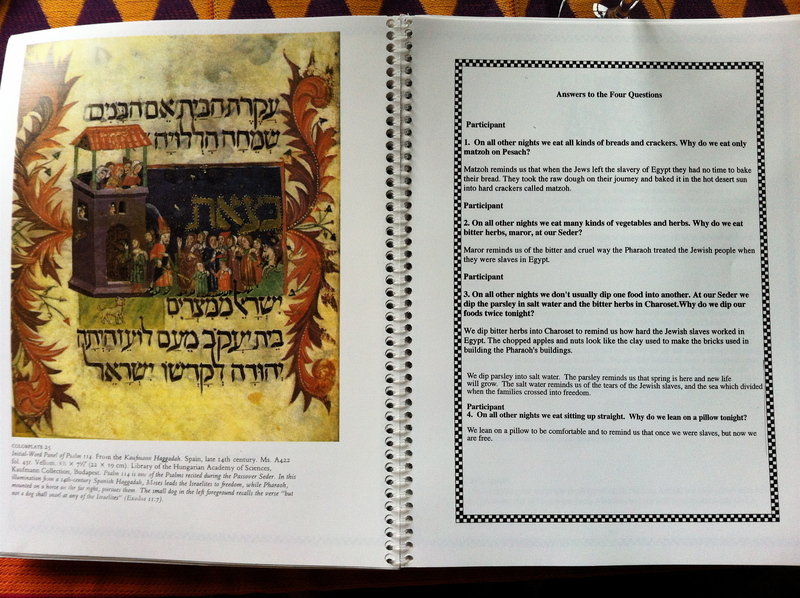 My mom created this Haggadah about 5 years ago. Before that we used a Haggadah that they got at their wedding (I think). It had lots of notes in the margins, which pages to skip, which passages to read. 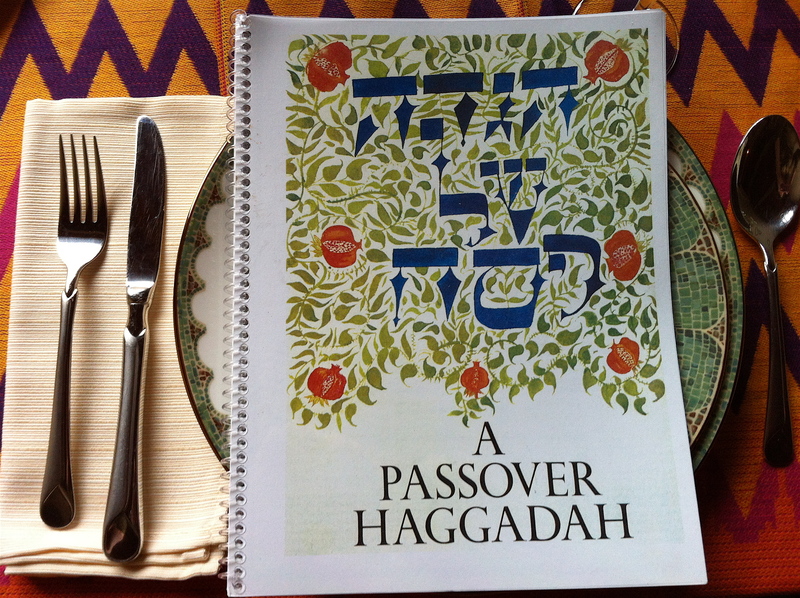 In this new haggadah she put together favorite readings, the traditional prayers, added art and other readings to create a Seder that is both universal and unique to our family. And for a little bonus, here are more Passover recipes that include video! It’s also a chance to see me with short(!) straight(!) hair! Is that even kosher?! I’m embarrassed that I even wore a chef’s jacket to make matzo brei. Really, Emily from 2009? A chef jacket to make what is, essentially, the equivalent of scrambled eggs? I, for one, love the chef’s jacket. You totally rock it.